The states of Querétaro, San Luis Potosí, Aguascalientes, Guanajuato and Michoacán were the recipients of the Bajío Tour; together, these five states represent over 30% of the national tourists who visited the Riviera Nayarit in 2015. 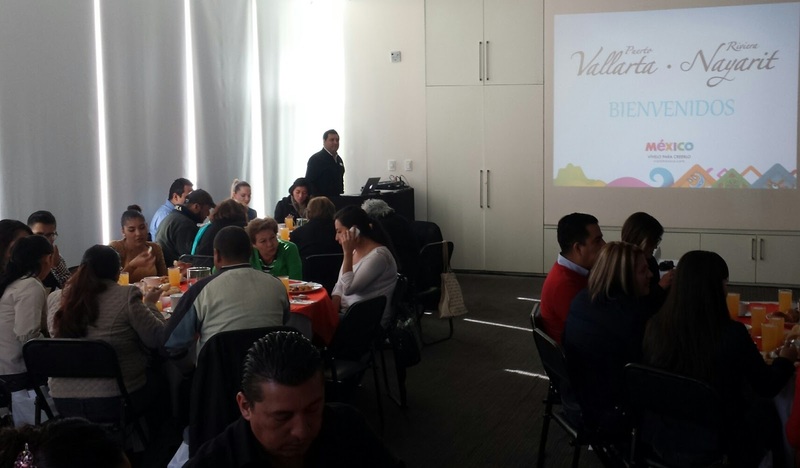 The Riviera Nayarit Convention and Visitors Bureau and the Puerto Vallarta Tourism Trust came together for the Bajío Tour from February 22-26, 2016, during which over 300 travel agents in the region received updates and training. Approximately 70 travel agents were reached per city in Morelia, Querétaro, San Luis Potosí, Aguascalientes and León. Each event was attended by an average of four of the top wholesalers of the region in question, and there were 39 of our regions’ hotels present as well. The Riviera Nayarit CVB’s Barometer reveals that the Bajío region generates a little over 30% of the domestic visitors to the Destination; whether by state or by city, this region is in the Top 10 for domestic tourists. By cities, León occupies 3rd place with 8.3%, Aguascalientes is in 4th at 8.1%, Querétaro is 7th at 2.7%, San Luis Potosí is in 9th at 2.1% and Morelia is in 10th place at 1.9%. The trend continues when looking at the numbers per state: Guanajuato is in 2nd place at 12.5%, Aguascalientes is in 4th place at 8.2%, Michoacán and Querétaro are in 7th place at 3.2% and San Luis Potosí is 9th at 2.3%. All these cities enjoy direct flights and also have excellent highway connections to the destinations, which ensure the promotional efforts of Puerto Vallarta and the Riviera Nayarit will bear tangible fruit.